2). Which of the following are variable losses ? 7). Total core losse is also called as ---------? Answer: c) As iron loss is proportional to flux density or flux, these are also called as magnetic loss. the total core loss or magnetic loss consist of eddy current loss and hysteresis loss. 8). Maximum efficiency will occur, when the copper loss is_________to iron loss? Answer: c) The condition for maximum efficiency is, copper loss = iron loss or variable losses is equal to fixed losses. 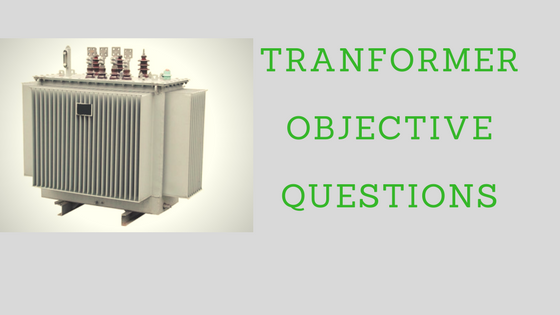 Answer: c) A transformer can be used for ether step up or step down the voltage without changing frequency.